For many companies, what they need to be more successful is already here, they simply don’t recognise the opportunity that exists. Presented by Dale Howarth, 'Practical Lessons for Better Business' provides a unique opportunity for delegates to come together in the Oyster Room at the Lakeside Park Hotel & Spa to network with like-minded people, meet the event sponsors before moving into The Kingfisher Suite to gain valuable insights that will be delivered through the 10 Practical Lessons for Better Business that Dale will present (#6 will surprise you). 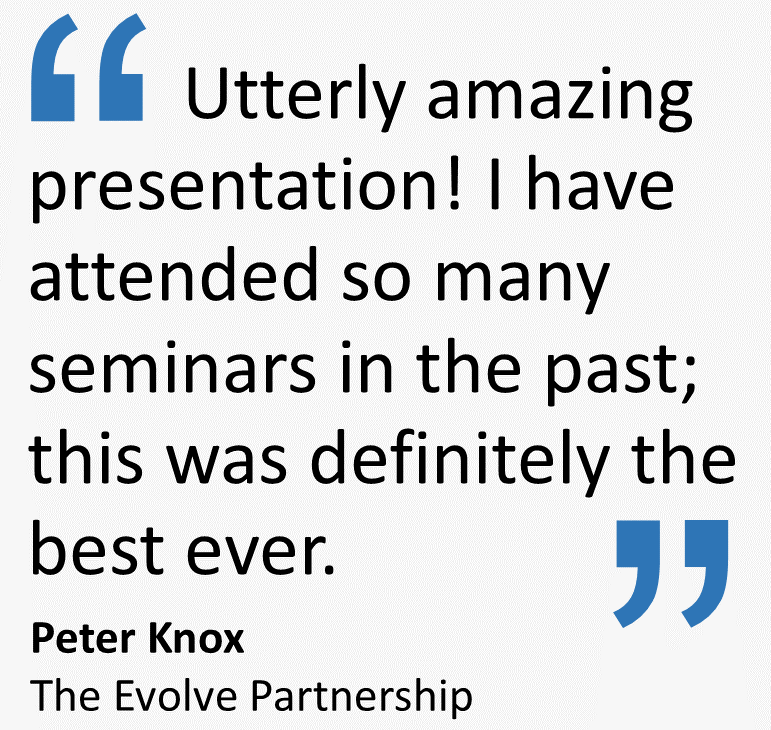 During this fast-paced, entertaining and motivational presentation Dale will use real life examples and case studies to destroy the myths, conventions and provide the 'why' that often inhibits many from taking full advantage of the real opportunity that exists to outperform the competition and deliver outstanding results for any business - irrespective of industry sector, size and length of time established. With only 140 delegate places available, and demand expected to be high, you are encouraged to reserve your free place now to avoid disappointment. This high value business seminar and networking event is aimed at anyone who has a keen interest in improving their company’s bottom line and is invaluable to those looking for new ideas, or simply wanting to understand if they are getting the best return from their current investment in sales and marketing activity. It is also of benefit for anyone looking to start a new business venture and wishing to avoid some of the mistakes all too often made by others. Put simply - if you are responsible for, or play a key part in the successful development of your business you owe it to yourself to book your free place at this business event. To reserve your free place at this important business event simply click on 'Event Registration' below or email: events@dalehowarth.com Alternatively, you can call Dale's office directly on 01983 861003. WightAID supports charitable projects on the Isle of Wight. Any project that benefits Island people or the places we cherish is welcome to apply for one of our grants. Our funding comes from Island companies, investors and individuals looking for an effective way to support our unique community.